Since we began uploading our games to Steam last year, we’ve discovered how superb a platform it really is. One of the best aspects of it is the Discussions. We have a discussions page on Steam that is entirely dedicated to Airport Madness 3D, and we invite you to head over there and sign up. It’s free. And if you already own this game, I’ll give you a free key for the Steam version. Airport Madness 3D is now available on Steam, for those of you who use the world’s largest game portal. The Steam version has the added bonus of sharing your achievements in the Steam community, and the community itself. Share screenshots, chat with others, and discuss bugs in the forum! If you’ve purchased this game on one of these platforms, but would prefer to have it on both Steam and off-Steam, send me an email at support@bigfatsimulations.com. No rest for the determined game developer! I’ve released updates almost daily for Airport Madness 3D since its launch on Wednesday May 11. Please help yourself to version 1.05, available through the link that was sent to you after puchase. This update improves game performance and hopefully eliminates numerous bugs, most notably the aircraft that refuse to park! As always, updates to games that you have purchased are always free. However, I occasionally receive emails from customers who bought Airport Madness 2 in 2009 and would like to obtain the latest free update. I always politely explain that Airport Madness 3D is an entirely new game, and their business is appreciated. Prior to the big release of our first Unity3D game, we thoroughly tested every aspect of the game. Our beta testing team consists of approximately 10 people. We all have a great deal of fun laughing at the various odd bugs that we find. The strangest bug so far is the pushback tug that holds onto the aircraft for the takeoff, then lets go and drops to the earth. We had a successful launch on Wednesday morning, despite me being ill the night before. I still felt horrible on Wednesday morning, but crawled to the computer and hit the launch key, with my family telling me to delay the launch another day. 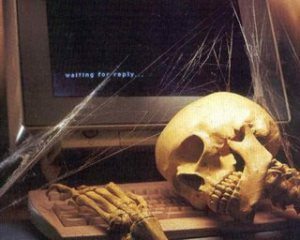 But they’ll all kill me if it gets delayed again, I thought. As per usual, Airport Madness released packed with bugs. I’ve fixed 90% of them, and I think we are now in good shape. The biggest bug was the issue of planes taxiing to the runway backwards. The next bug (still not officially off my watch list) is a player view that occasionally switches from the control tower to the cockpit all by itself. I’ve added the ability to zoom using the mouse scroll wheel, which I love. I have several more tiny updates to make, but couldn’t resist uploading the changes so far. I wanted to have a stable release available to everyone for the weekend. If you have purchased Airport Madness 3D and would like the update, you can download it through your original download link that was emailed to you. This entry was posted in Airport Madness 3D on May 14, 2016 by admin. Airport Madness 3D is Here! After a long 16 months of development, we proudly offer you Airport Madness 3D! Airport Madness now has a third dimension. We sincerely hope that you enjoy this seventh version of the series. This is our first non-Flash game, developed entirely in Unity3D. Unity was a pleasure to work with, but has been a steep learning curve for us. Customers no longer require installation of Adobe Air beforehand. Airport Madness 3D seems to be well received by the 1500 customers who have made purchase. It is more difficult than previous versions. It is more immersive. Your chair needs to be in the upright position. Maybe have a coffee first. Tylenol later. Airport Madness 3D is intense. Most say it is a great deal of fun, which is truly a relief. I don’t mind having a few bugs to fix, but you can’t fix boring. So I’m glad for the positive feedback. I’ve had several people ask, “Is this a free update, or do I have to buy all over again?”. The answer, sadly, is that you must buy again, as this is a brand new application. We just released its first update 1.02 today, hopefully fixing some minor bugs within the game. As 3D is brand new to us, we plan to offer many, many updates to this game in the coming years. This is our new thing. We’ve done 2D to death, and it’s time to evolve. We sincerely thank you for your business. 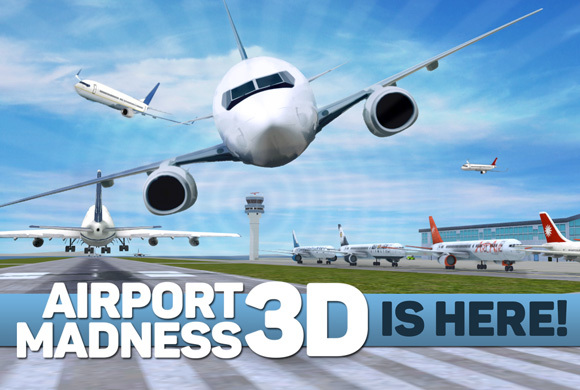 If you have not purchased Airport Madness 3D, what are you waiting for? Click this. This entry was posted in Airport Madness 3D on May 13, 2016 by admin.